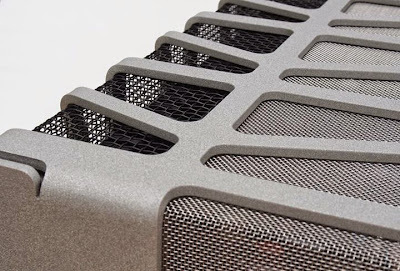 It's sort of a cliche in high-end audio to talk about small speakers that sound much bigger than you expect--if you can't say that about your own speakers, you probably shouldn't bring them to market. But the new Sun speakers from Trenner & Friedl take this type of thinking to a whole new level. The Suns are so tiny that you can pick them up easily with one hand. Yet when you listen to them, you'll shake your head in disbelief. Mated with a fantastic new Elixir integrated amp from Heed Audio, which will retail for just around $1200 (including a fabulous-sounding headphone amp), the Suns created a large, convincing soundstage with unbelievably impressive bass response. The Suns are not going to be as inexpensive as the Elixir, but you have to know a little bit about Trenner & Friedl designs before you can comment on the perceived value of such an amazing little product. The cabinet work is truly astounding, as are the drivers and the innards. No corners have been cut--the precision and sheer audacity of the four dinky ports on the rear of the speaker, for example, hints at the extraordinarily high level of engineering and craftsmanship. The Suns are ideal for small rooms (my Trenner & Friedl Arts are perhaps the best speakers I've ever used in such an application), or for people who want great sound in their apartments or their offices. (Warning: they can go loud with relative ease!) These might just be the ultimate speakers for a desktop computer system. Here at the Newport Show, attendee after attendee couldn't believe the breathtaking sound coming from the diminutive coaxial drivers. Don't judge these speakers until you've heard what they can do. I don't want anyone telling me about the laws of physics when it comes to a transducer of this size--these sound full and musical and utterly impressive. Or, as Harry Pearson used to say, "If you haven't heard it, you don't have an opinion." I want to give Andreas Friedl and Peter Trenner a huge hug for accomplishing this feat. Please visit Bob Clarke of Profundo and Dan Muzquiz of Blackbird Audio on the third floor and hear for yourself. I've been training myself not to say "the Newport Show" anymore. It's the Irvine Show, because it's being held at the Irvine Hotel in Irvine, California from May 29-31. Even when it was called the Newport Show, it wasn't really in Newport Beach--it was located in that weird part of Orange County by the John Wayne Airport where Irvine, Santa Ana and Costa Mesa come together. As someone who grew up in Orange County, I know where Newport Beach is, and where it isn't. That said, Colleen and I will be at The Home Entertainment Show (T.H.E) next week. We'll be found in room 1015, supporting Sweet Spot High-End Audio, our Unison Research, Opera and Axis dealer in Phoenix. 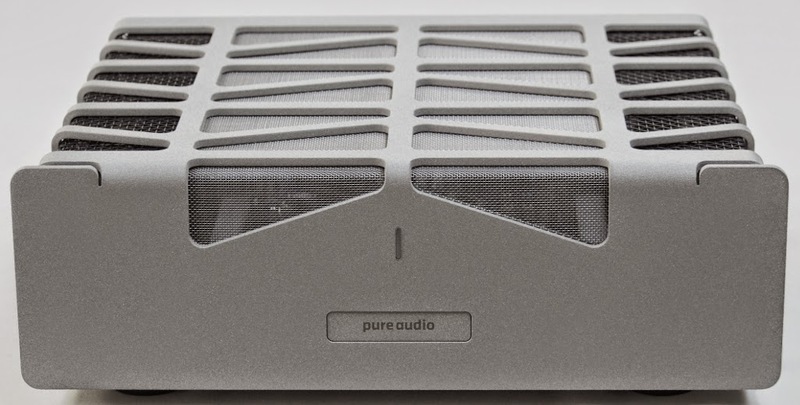 We'll be debuting the brand new PureAudio Duo stereo power amplifier, a brand new amplifier from Gary Morrison and Ross Stevens. This amp isn't quite a svelte as the PureAudio Reference monoblocks--it's sort of those two monoblocks in one much larger chassis. It also offers 100wpc pure Class A power, more than the 65wpc of the Reference. I haven't even listened to it yet--it was sent directly to Leif Swanson of Endeavor Audio Engineering so he could start breaking it in with his amazing new flagship, the E-5. That's the basic set-up in the photo above. Even with a $600 CD player used as a temporary source, Leif told me that he could easily demo this system at the show. 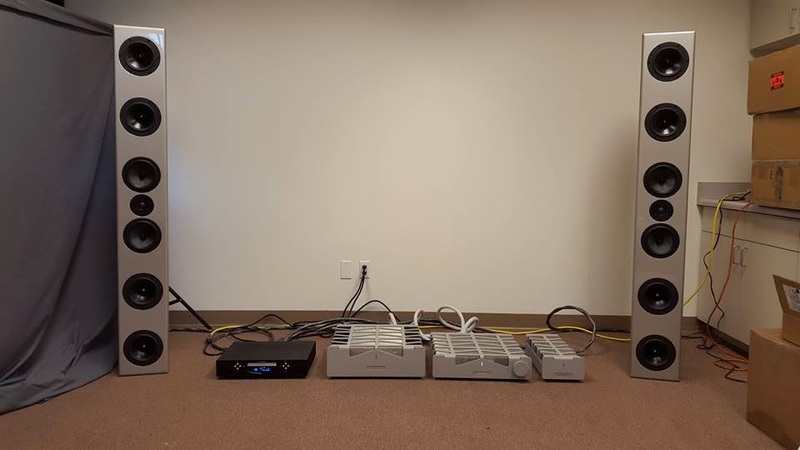 Fortunately, we're getting top-of-the-line digital playback from Berkeley Audio. I'm also bringing the PureAudio Control preamplifier and the Vinyl phono preamplifier to the show. Our analog source will be an Oracle Delphi Mk. VI turntable with Oracle arm and cartridge. I'm bringing some vinyl as well, so I'll be playing DJ when the Berkeley gear isn't playing. Please feel free to stop by and say hello during the show. Even though our room, at this point, is still an unknown variable, I feel confident that this will be the finest system we've ever shown in the four-year history of Colleen Cardas Imports.